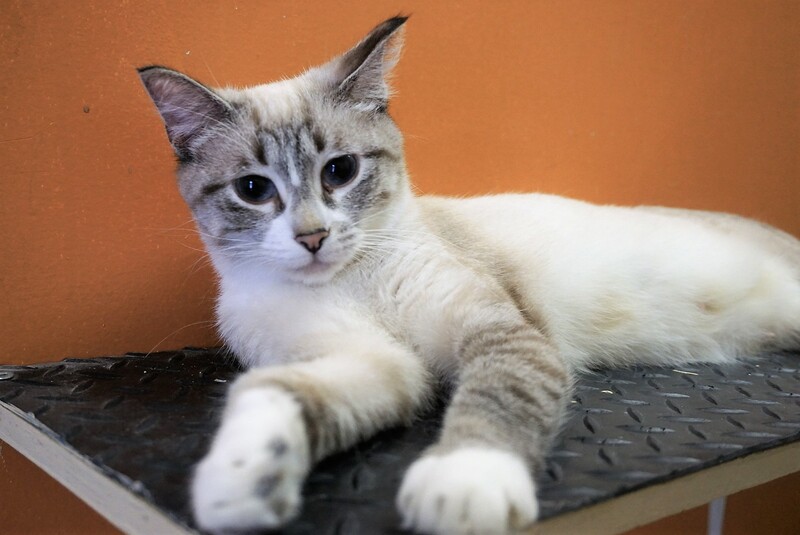 Daisy Mae is a beautiful lynx point female who was brought to Rescue Siamese as a stray from Portage La Prairie. She is a very sweet and energetic girl, but takes a while to get used to other cats. Daisy Mae enjoys getting attention from the volunteers at Rescue Siamese, and would probably do best in a home without dogs or small children. If you would like to meet Daisy Mae, you can meet her at our store location at 38 Barberry Road.